Pippi Longstocking is one of the most popular children’s characters of all time and is still much loved by millions of children today. 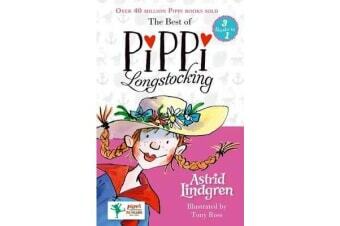 This collection of Pippi stories will introduce her adventurous spirit to a whole new generation of readers. Pippi Longstocking is nine years old and lives all by herself with a horse, a monkey, a suitcase full of gold, and no grown-ups to tell her what to do. She’s wild and funny and her crazy ideas are always getting her into trouble! 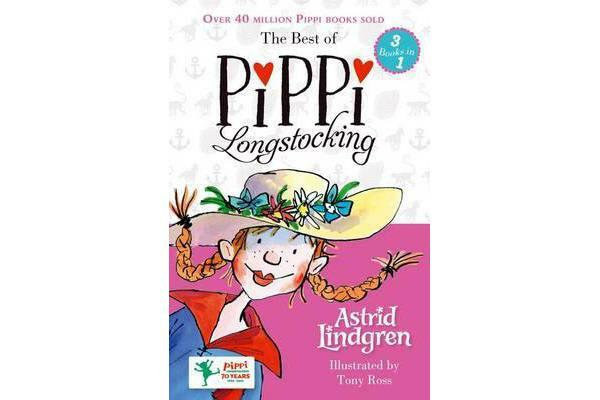 In this single-volume edition of three favourite books, Pippi performs at the circus, is reunited with her long-lost father, and takes her friends Tommy and Annika on a trip to the Canny Canny Islands. She also finds a squeazle, gives a shark a good telling-off, and turns 43 somersaults in the air before breakfast! Everything’s fun with Pippi around! This edition is illustrated throughout with black and white line drawings by best-selling artist Tony Ross.